Melvin Greer is the Chief Data Scientist at Intel America’s. Melvin uses his knowledge in graph analytics, machine learning and cognitive computing to accelerate transformation of data into a strategic asset for Federal Agencies and global enterprises. His systems and software engineering experience has resulted in patented inventions in Cloud Computing, Synthetic Biology and IoT Bio-sensors for edge analytics. He functions as a principal investigator where he significantly advances the body of knowledge in basic research and critical, highly advanced engineering and scientific disciplines. Melvin is the award-winning author of the bestselling book, 21st Century Leadership, and the Managing Director of the Greer Institute for Leadership and Innovation, focused on the maturing of new leaders and the growth of future innovators. 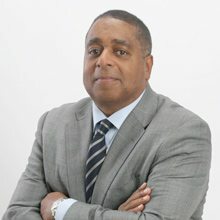 Melvin Greer has written for, or been covered by, The New Times, Washington Post, Federal Computer Week, Forbes, Computerworld, Washington Executive and Government Computer News. As principal program manager for Microsoft Azure Government, Karina is the federal market lead and liaison between the US Federal Ecosystem & Microsoft Azure Engineering. She works closely with a wide range of executive stakeholders to understand US government needs, remove cloud adoption blockers and ensure Microsoft’s Government Cloud roadmap meets agency missions. As an advocate for government, Karina supports cloud adoption in federal civilian agencies. 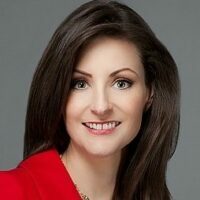 Prior to Microsoft, Karina worked on the first government cloud implementation (Google) with Unisys; and was a customer success advisor for federal civilian agencies at Salesforce.com. With more than 15 years in government IT, she actively participates in various federal IT initiatives, engaging her social media network of 24,000+ government and technology leaders. She is a recipient of the FCW Federal 100 and FedScoop Fed50 awards for her work as the founder and community organizer of one of the largest government cloud user groups. Karina is a longtime Washington, DC resident, and she enjoys spending time with her 9-year-old son and being active in her community. Dr. Gary Shiffman created Giant Oak to deliver social science-driven innovations in “big data” environments to advance his work countering organized crime, insurgency, and terrorism. In addition, he is Managing Director of the Chertoff Group, a global strategic advisory, M&A advisory, and security services firm. He also teaches, writes, and runs research projects as a faculty member of Georgetown University. 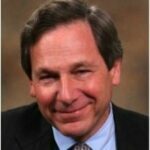 Previously Dr. Shiffman served as Senior Vice President & General Manager at L-3 Communications. While at L-3, Dr. Shiffman developed a global strategy and an organizational design for a $4 billion business group to diversity into new security markets, and he turned around a $100 million business unit by focusing business structure, processes, and human capital on risk management and resiliency solutions. His government series includes the Department of Homeland Security, Capitol Hill, and the Department of Defense. As the Chief of Staff at US Customs and Border Protection, the help manage the most complex unification under DHS creating the largest law enforcement agency in the United States. Dr. Shiffman led many border security and facilitation policy initiatives, including the Secure Border Initiative Working Group which successfully re-engineered border enforcement and security processes. He also supported the development of the department’s first framework for risk metrics. Shiffman spoke to WashingtonExec about the use of predictive analytics towards organized crime in March 2013. A 26-year Unisys veteran, Mark Cohn brings innovation to the marketplace with a passion to expand the mission impact of IT by building comprehensive systems that don’t fail. As CTO, he directs portfolio strategy and solution development for major Federal Systems programs and for years he was the VP for Enterprise Security at Unisys with global responsibility for security solutions and services across commercial and public sector marketplaces. 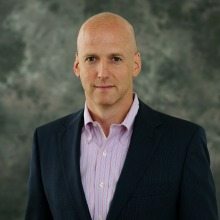 His experience includes rapid deployment of national scale high availability systems to manage distributed work including secure applications on untrusted platforms and networks, workforce automation including performance management, remote equipment monitor and control, biometric identification and credentialing, and high volume transaction processing systems with secure mobile data management. Cohn is a former Fed100 winner and a thought leader in the federal IT space.